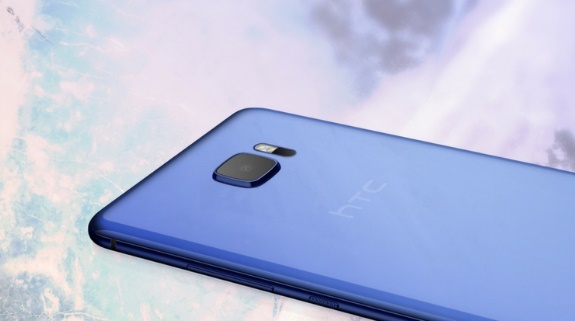 HTC has announced a new phablet named HTC U Ultra which has managed to showcase its technical finesse by combining some spectacular features teamed up with the companies new artificial intelligence platform. This new addition to the HTC U editions have some extraordinary specification with top-of-the-line features like HTC Sense Companion, Liquid 3D Design, Dual Display, high end camera, advanced microphones etc. HTC U ultra is blending Super LCD5 capacitive touchscreen, 16M colors and Dual Display technology. The screen size is 5.7 inches with screen resolution of 1440 x 2560 pixels (~513 ppi pixel density). The Dual Display feature puts another 2.05-inch display offering 160×1040 pixels resolution on the top. This display is for notifications and alerts. HTC has deployed the HTC Sense AI system which educated the the display to learn user behavios and display notificaions and alerts according to their preferences. For example, if you do not read notifications from a particular app and swipe off everytime it appears, the dual display will learn about your taste and replace the notifications from that particular apps with more suitable ones. The ticker display will show your top contacts, app shortcuts, reminders etc. The device will be hardy as hell as it’s bringing the super study Corning Gorilla Glass 5 (64 GB edition) and Sapphire crystal glass (128 GB edition). U Ultra will be powered by Qualcomm MSM8996 Snapdragon 821 Quad-core processor (2×2.15 GHz Kryo & 2×1.6 GHz Kryo) with GPU	Adreno 530. Now coming to storage, the device has two storage options, that is, two variants- one is the 64 GB model and the other one is the 128 GB model. Both the variants have 4 GB RAM, The memory is further expandable up to 256 GB. The second SIM slot can be used for that purpose. The HTC U Ultra also features a ‘liquid surface’ that gives an entirely royal look to the phone. The exquisite crafting process enhances the reflective design of the phone. The new technology aids new to bond colors to the glass in multiple layers to reflect light. HTC Sense Companion is HTC’s own artificial intelligence. It’s a potential substitute of Google Now. But it’s a matter of speculation whether it can compete google Now.